The 2019 season begins for the Toronto #LetsGoBlueJays. Anthony Alford will seize his opportunity thanks to a sooner than later Kevin Pillar trade and take over in center field. Rowdy Tellez leads the team in homers. Not getting to see Morales pitch in a Jays uniform ever again. The prospect of seeing Clayton Richard pitch in a Jays uniform. The sooner he's in the bullpen, the better, but I'm still not holding out much hope. 67 wins. This could be generous given the expected fire sale at the trade deadline. NYY, MIN, HOU, BOS, LAA (AL) - WSH, STL, LAA, CHC, PHI (NL) - World Series - LAD vs. HOU (LAD in 7). Elvis Luciano is going to pick up his first major league victory in an extra-innings marathon at some point. That will stop the Travis Bergen complaints for 15 seconds. Clay Buchholz forgets to wear sunscreen when the roof is closed. I hope I don't have to bring up the fact next season that the Jays have not won a home opener since 2011, the year before The Great Uniform Change or the last year of the Black Jays era. 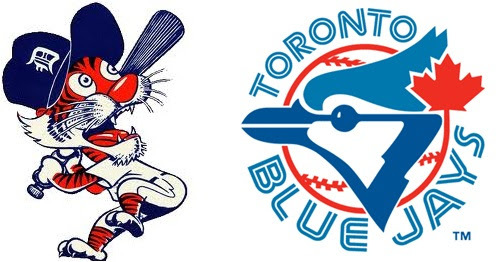 Feel free to weigh in with your predictions for the Jays and MLB in 2019.